There’s no such thing as too much cardiology – that’s why we decided to take things to another level. 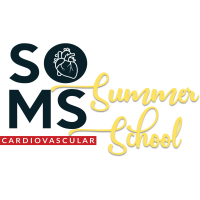 SOMS Cardiology Summer School is our latest pilot project – launching in July 2018 – where medical students in their clinical years will have 7 days to discover an up-to-date, comprehensive approach to cardiovascular pathology. Throughout the week participants will attend exclusive lectures and workshops intended to help them understand the integrated care pathways for patients and get familiar with essential diagnostic and follow-up procedures. We’ll set aside some time for getting to know each other as well – a bunch of cardiology-enthusiasts need to keep close. The first edition will be in Romanian.